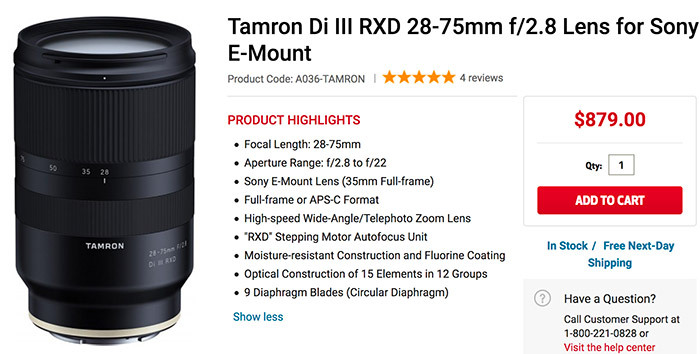 The Tamron 28-75mm FE lens is in Stock now at FocusCamera, Adorama and BHphoto. USA at BHphoto, Adorama, FocusCamera and Buydig. No preorders yet at Amazon. Europe at Calumet Germany, ParkCameras UK, Jessops. Asia at Sony Australia and Sony Japan. previous post: US preorders for the new Sony A6400 are now open!